Orangutans are the largest tree-climbing mammals in the world typically found in the forests of Indonesia and Malaysia. Orangutans are now critically endangered due to factors such as deforestation. 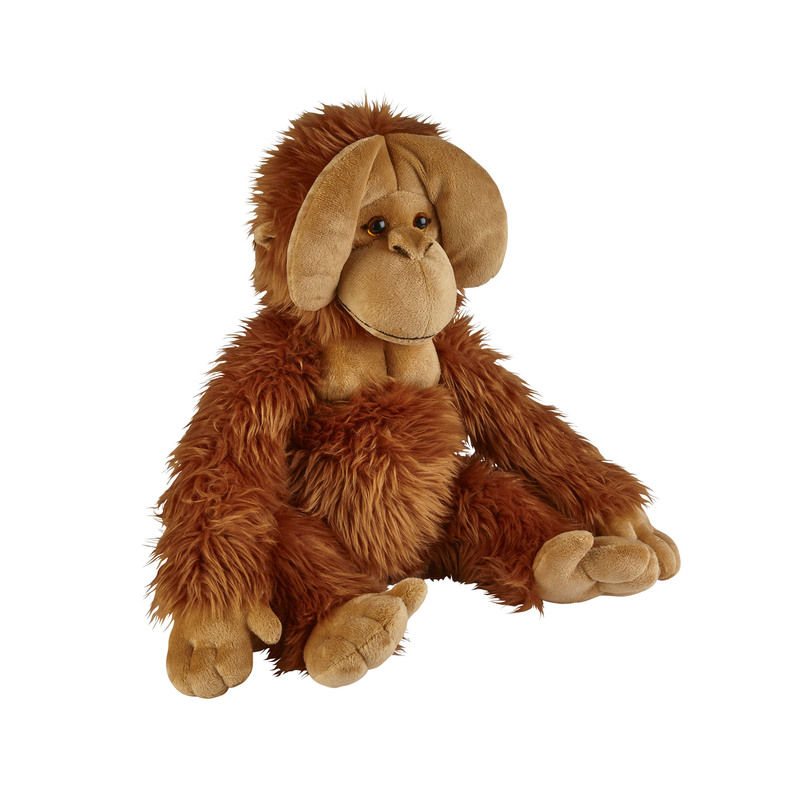 This orangutan soft toy is a perfect way of displaying your love of the species. Measuring at 50cm, this soft toy is Ideal for cuddling with a super soft orange plush coat. The soft toy also has some wonderful detailing such as the embroidered detail on the face and with cute button eyes to make it look just like a real orangutan.